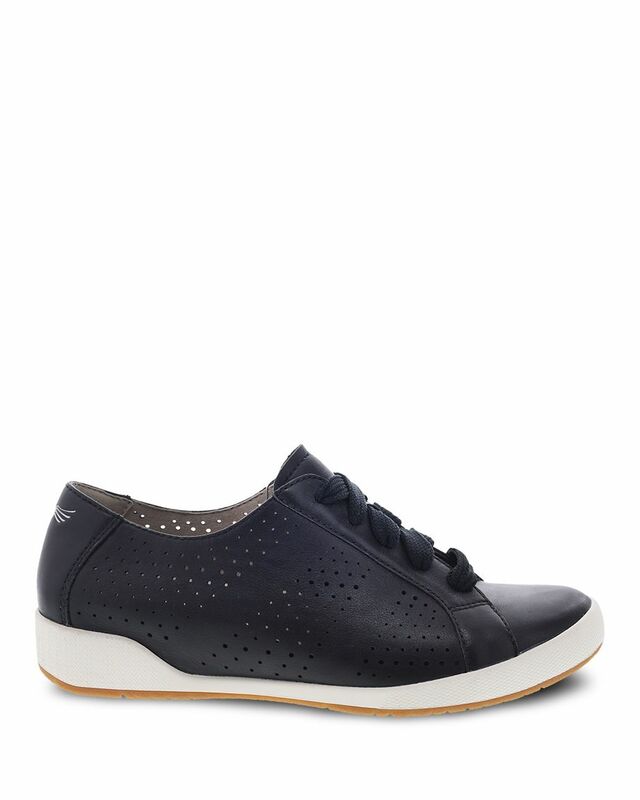 The Orli sneaker features modern styling for a fun, casual sneaker. A sleek perforated leather upper is paired with odor control treated sock linings, an EVA footbed with Dansko Natural Arch Technology for added support and comfort, and a rubber outsole for long lasting wear. Offered with two laces for different looks, the Orli sneaker is perfect for any casual setting. Very comfortable. Great shoe for casual business office look. Considering off white. On another note -- please bring back "Linda" I have a pair of grey and REALLY REALLY like. Should have bought two pair. These are so comfortable, great for summer!